I had the thrill to spend this past weekend in Oakland, and the the sheer wide-eyed joy over the long-awaited arrival of the Golden State Warriors in the NBA Finals was everywhere. T-shirts, buttons, baseball caps, even flashing messages on the city buses: It was a “Dubs Nation” festival of awesomeness. There was also a rumbling sense of unease beneath the joy. The Warriors have called Oakland home since 1971, yet the team will almost certainly move to San Francisco by 2018, for a new stadium and a massive parcel of land. Yes, San Francisco is just across a bridge, but if you know the history of the SF and Oakland divide—and how deeply that divide has been symbolized by the cities’ sports rivalry—then you know that bridge crosses a moat more than a bay. Joe Lacob, the venture capitalist who has owned the Dubs for less than five years, sees that sweet stadium land and any sense of history flies out the window. Real estate in San Francisco is the new gold rush. It’s 1849 on BALCO steroids, and Joe Lacob is a crusty old prospector in a nicer suit. If only it were just the Dubs. This seminal sports town is having its franchises bled out by owners who seem to care little about the deep, near-religious connections between teams and city residents. Few franchises are more iconic than the Oakland Raiders, the legendary silver and black. When late owner Al Davis absconded with the team to Los Angeles in 1981, no one foresaw that he would return the Raiders in 1995 with a vengeance. Davis and city leaders delivered a notoriously awful deal for the people, even by sports-standards. The Raiders have soaked $400 million out of the city amidst deep cuts to social services and the treasury continues to pay $12 million a year until 2026 for stadium upkeep according to USA Today. Now his son, Mark Davis, wants to relive this history. He is salivating over moving the team to a $1.7 billion stadium in Carson, California outside of LA. The best hope for keeping the Raiders in Oakland rests not in a stadium deal but in that the greed of NFL owners collectively may overpower the rapaciousness of the Davis clan. NFL owners love a Los Angeles without pro football. The LA Market has boundless value for the league as a stalking horse, a living threat for other cities that if they don’t pony up, their team will go to La La Land. People in the Twin Cities can attest how that very threat was used by Vikings owner Zygi Wilf to secure his status as the Welfare King of Minnesota. And then there are the A’s. 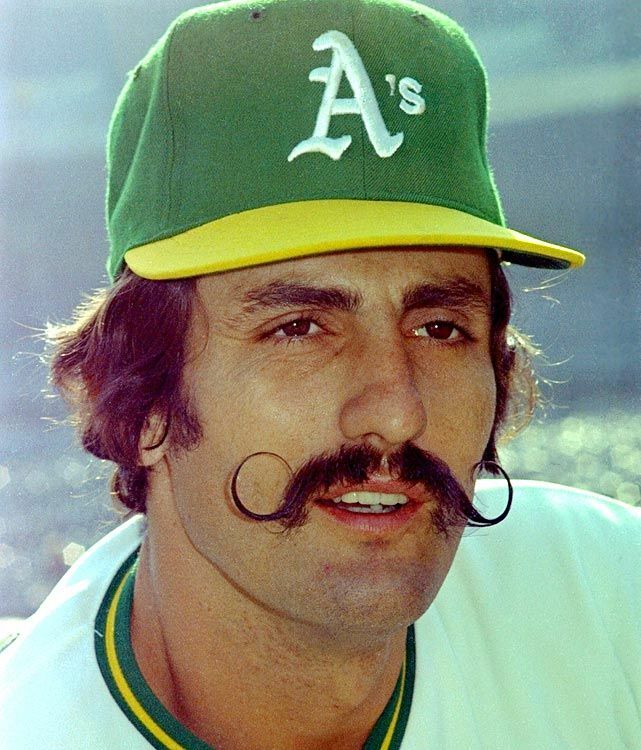 The Oakland Athletics, the team of Moneyball, the Bash Brothers, and the greatest mustaches of the 1970s, has been attempting to escape Oakland for years. They are owned by 80-year-old real estate tycoon Lew Wolff, whose love for Oakland is so deep, he lives in Los Angeles. Wolff could not be more appropriately named. Six years ago, he attempted to take the team out of Oakland to Fremont. More recently, he tried to get them to San Jose, where Wolff effectively owns much of the city. Now the discussion is for, altogether now, public subsidies to refurbish the stadium they currently share with the Raiders. What is so particularly noxious about all of this is that sports franchises don’t even pretend anymore to make the 1990s-era argument that public subsidies are necessarily for their survival. We all see it in the skyrocketing salaries, the multibillion-dollar television deals, and the ballooning costs for franchises: The money is there. The NFL, Major League Baseball, and the NBA could build new stadiums for all of these Oakland institutions and not even blink at the costs. But it’s not about giving back for Lacob, Davis, Wolff or the leagues. The entire state of affairs direly reflects a country where the desires of the “haves” violently out-prioritize the needs of the “have-nots”. The people of Oakland with whom I spoke are anxious but are also adamant about not being screwed over again. They love their teams, but won’t sacrifice their city for the privilege. It’s admirable, and in this climate it’s a recipe for merciless defeat. Lacob, Davis, and Wolf are simply absent of shame. The great people of Oakland deserve better. They also, not unlike their basketball team at the moment, need to get out of their defensive stance and start lighting it up on offense. This is Oakland: the city of the Black Panthers, Berkeley, the Brown Berets, and Boots Riley. It is almost shocking that there is not a public campaign to demand at least a partial public seizure of these teams, given the public expenditure already invested. I asked a slew of people this past weekend why this campaign has yet to cohere, and the answers ranged from it’s being unrealistic to there being “more pressing campaigns” than trying to untangle sports-league bylaws. But the mega-profits being produced by today’s leagues could actually aid those campaigns, providing new revenue streams for cash-strapped schools and hospitals. Here is where the city could take something from the history of the once-fearsome Raiders: Sometimes scaring the piss out of an opponent can be a very effective tactic. Occupy these Oakland franchises and demand that these owners acknowledge that the teams of the East Bay were yours long before these owners arrived for the great plunder. They can share the wealth or they can spend their own money or they can sell out. But the teams remain. As a T-shirt I saw this weekend said, “Oakland: the people that lead the world.” When it comes to turning the table on sports owners, it’s time for Oakland to lead.